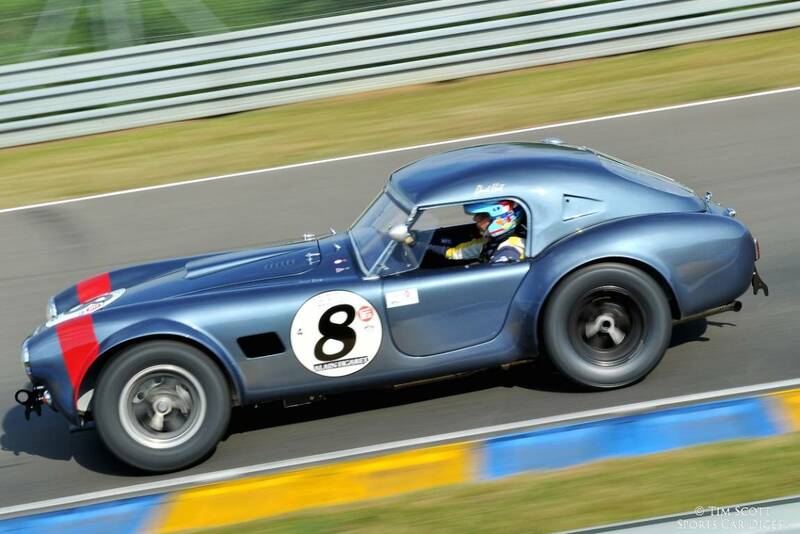 The 2014 Le Mans Classic was held 4-6 July at the famed Circuit de la Sarthe in Le Mans, France. 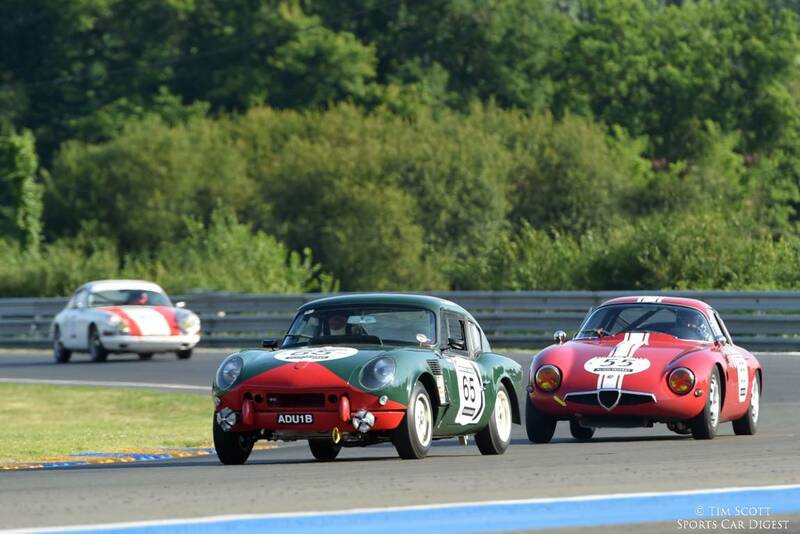 Staged by Peter Auto in association with Automobile Club de l’Ouest, the seventh running of the biennial event battled on the same 13.629 kilometer Le Mans circuit run in the modern 24 Hours of Le Mans. 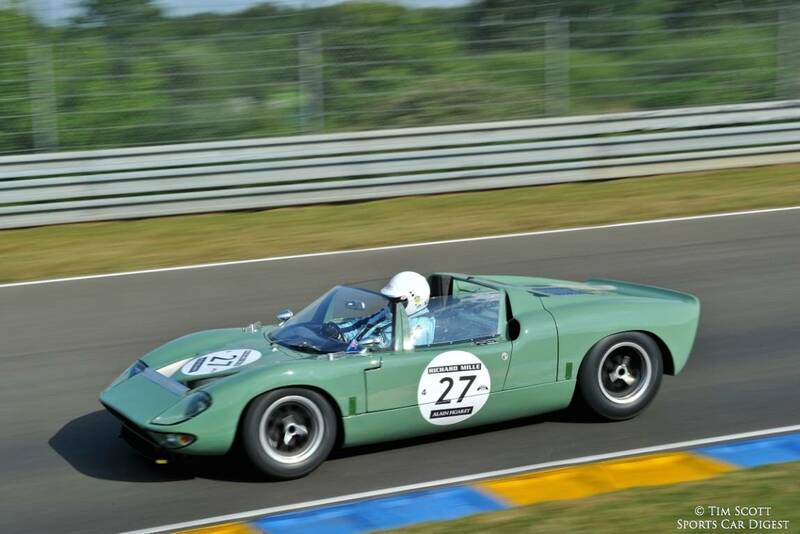 The Plateau Four race for sports racing cars that competed at Le Mans from 1962 to 1965 saw an interesting and varied field of 75 entrants. 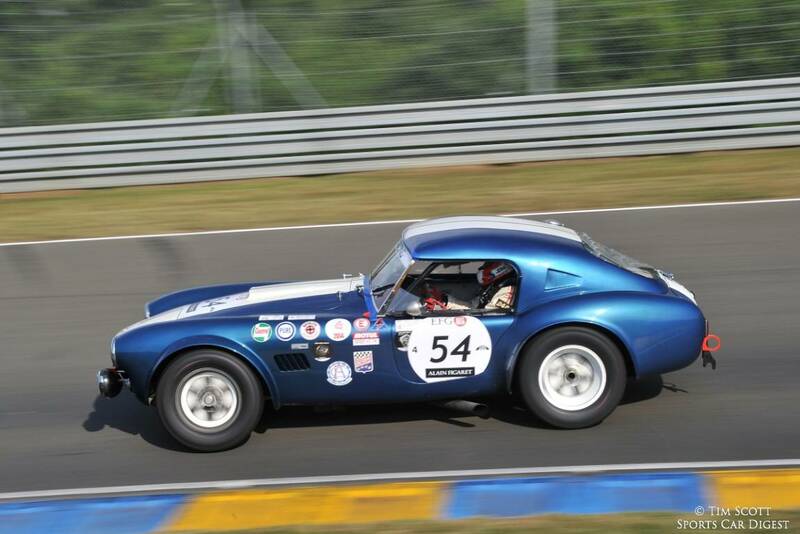 This grid at Le Mans Classic 2014 showed the arrival en masse at Le Mans of cars made in the USA with several Shelby Cobra 289s, Ford GT40s and Shelby GT 350s. Among these were works GT40s entered at the time by the well-known Filipinetti squad and the unique GT40 roadster. Among the Cobra 289s, the crowd was able to see and hear the one driven by American Elliott Forbes-Robinson, winner of the 1997 and 1999 Daytona 24 Hours, as well as another in the hands of Michel Lecourt and Raymond Narac representing the IMSA Performance team, which has racked up an impressive string of results in modern endurance racing. 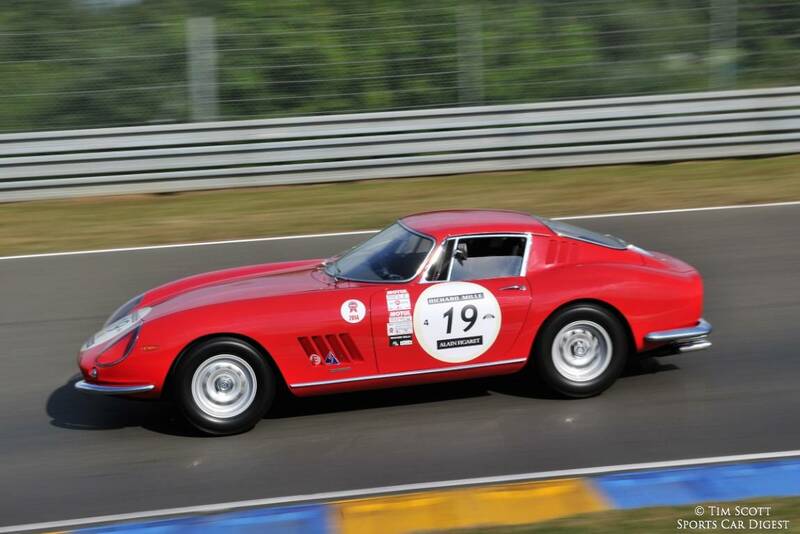 As was the case in the 1960s, the Americans were up against their European rivals starting with the Ferrari 250 LMs, the two of which were at Le Mans Classic this year including the car that won the 1965 Austrian Grand Prix in the hands of Jochen Rindt, and the other the 1964 Reims Grand Prix driven by Graham Hill. One of these 250 LMs was entrusted to Argentinean Luiz Perez Companc who has raced in the Le Mans 24 Hours several times. 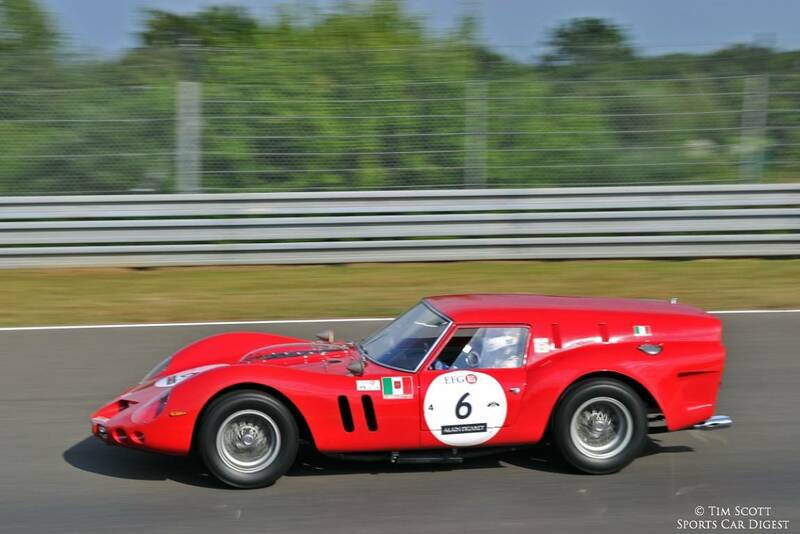 Also present were a number of Ferrari 275 GTB/Cs, an authentic ISO Grifo 3/C from 1963 with an impressive set of results, an Alpine A210 (1st in its class and in the Index of Performance in 1969), a rare Elva GT 160, all of which helped to add to the variety of this grid. The first shower of the Le Mans Classic 2014 race weekend began to fall just before the start of the first heat for the 1962 to 1965 racing cars. The sky grew darker and darker and the fading light heralded the imminent arrival of darkness. In these difficult visibility conditions David Hart put on a dazzling performance taking the lead in his Ford Shelby Cobra from the horde of Ford GT40s. Just when it looked like the Dutch driver would win at the wheel of his big GT in a straight fight the race was neutralised because the Ferrari 250 LM of Luis Perez-Companc vomited all its oil on the Mulsanne straight. 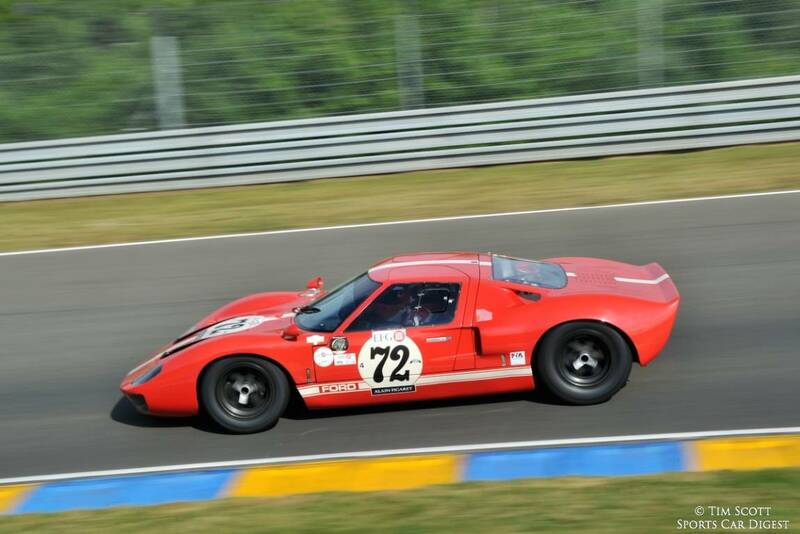 Things fell back into place in the second and third races in which the Fords scored a triple and a double with overall victory going to the GT40 driven by Hans Hugenholtz. Hervé Guyomard, the Automobile Club de l’Ouest historian, won the Index of Performance in a French car, the Rene Bonnet Aerodjet. 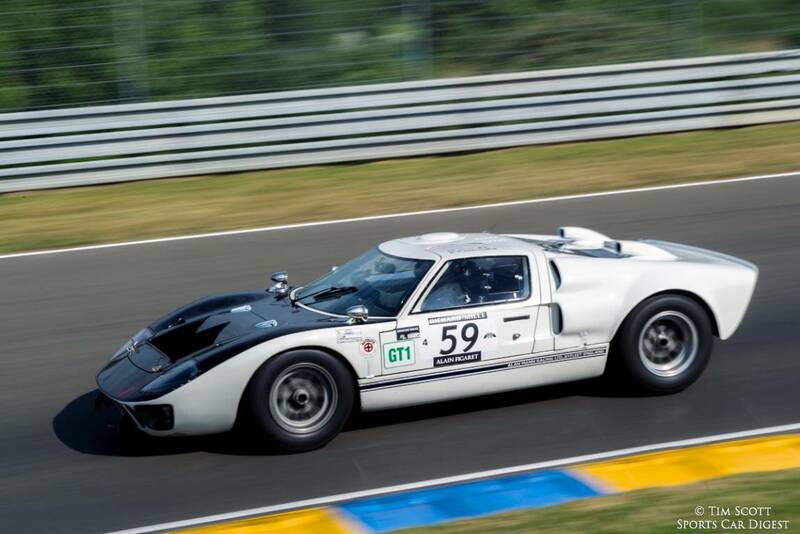 Similar to 2010 and 2012, Senior Photographer Tim Scott also documented Le Mans Classic 2014 with the following images that expertly capture the Grid / Plateau Four race for 1962 to 1965 Le Mans entrants. We split up Tim’s 261 pictures into two galleries. The first gallery starting below features our favorite images, all displayed in the full-width view of Sports Car Digest, while the second gallery and race results can be found on the last page of the article and gives a comprehensive view of all the photographs. To see more from Tim, visit fluidimages.co.uk. The phony-fastback removable hardtops on the Cobras were a Europe-only thing, weren’t they? I never saw them over here. Were those Cobras built in England by AC, rather than in the Shelby shop in California? They look different. The Daytona Coupe was designed by a guy named Pete Brock. Many thanks to him for adding enormous pleasure to my teenage years. Where are the other class results?